* we are sorry that Lorraine is unable to take up her place due to injury but have left her details here so you can support her chosen charity. ** Katie has deferred until 2020 due to injury following Manchester but her fundraising will carry over. If you're doing London this year and you don't feature either in the list above or the stories below please email a paragraph and a photograph, with any fundraising link you have, so you can be added. Commiserations to those who were unlucky in the ballot but there will be a significant ARC presence at Manchester in March and don't forget to sign up for our own London cheer squad. For those running, the Action Heart coach and accommodation details can be found here. Nicola James gained a charity place to run this, her first marathon, and is raising money for PHAB kids who help children with disabilities and their families to enjoy life as much as possible. 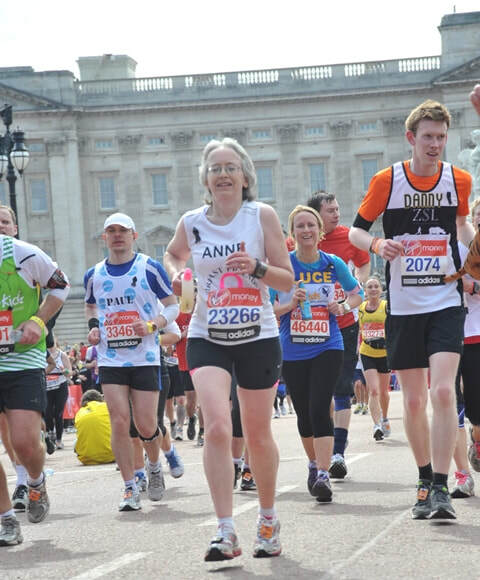 Anne Kelsall ran her first marathon in London in 2013 after gaining a club place and said it would be her last - training is a huge commitment and she didn't really see anything but runners' behinds! However, Birmingham came along in 2017 and she couldn't resist the challenge of running the inaugural event in our 'home' city in her 60th year. As a result of Birmingham Anne gained a Good For Age place for London 2019 and again the temptation was too much to resist. This time she is determined to take in the sights and enjoy the experience, with a much larger group of ARC than the three in 2013. Lorraine Beesley also gained a Good For Age place this year, with qualifying times at both Gloucester and Manchester. She has chosen to use the run to raise money for Birmingham Children's Hospital. Lorraine says " There's not much to say about me apart from I'm a nutty bird who loves to run and raise money for Charity. Its hard to choose a Charity as there are so many good causes. The reason I chose this Charity is because I already donate to Heart & Cancer as they are personal to me. As a parent I feel very lucky that I haven't had to go through the worry and stress some families experience as my children have had good health for which I'm thankful. I want to offer support to these families and their brave children hence let's run and raise lots of money!!! * Update - With great regret Lorraine has had to pull out of the two spring marathons she had planned, due to injury. However, you can show your support for Lorraine by contributing to her JustGiving page. Katie says: "My own asthma was only diagnosed a few years ago and since using my inhalers daily my peak flow has doubled. I no longer struggle to get my breathing right whilst running, which always used to stop me in the past. You can stilll support Katie via her JustGiving page. Victoria Bird gained a place for PROUD, a local charity. Victoria says: "PROUD is a parent-led support group based in Walsall,set up in August 2004 by parents who have children with Down’s syndrome. PROUD totally rely upon any donations that people send to help them, all monies received are spent on helping the children and their families to live life to the full. "This is my first marathon and probably the only time I will ever be able to get to London to do this as I also have three children with disabilities myself, the training for this will be tough becuse I am a single parent but I am going into this with eyes wide open and will give 100% to this at all times. All help is greatly appreciated." Roxy Babla was lucky to gain her place in the ballot. She says: "I always had a passion for running from when I was at school. PE was my favourite subject and always looked forward to every lesson. I only took up running 4 years ago and have never looked back. My first Marathon was in 2016 and I was fortunate enough to get in through the ballot and it was the first time I had applied, call it beginners luck?! It was one the greatest achievements for me and the year I turned 40! This year once again I’ve got through the ballot once again feel so fortunate and excited. I’ve decided to run for Africa Educational Trust this year as my family originate from Africa and I am a teacher. Children that I teach always feel so excited to hear about running and want to share their achievements in sport and you without realising it become their role model (no pressure!) When visiting family in Africa I have been to schools and seen how children are so eager to learn and want an education but just can’t afford it. I believe as a teacher Education opens doors and your education is your wealth something no one can take away from you. Surely these children too deserve the right to a great education and to build their future for themselves and their families?! I feel these charity will truly benefit from all your kind donations and will help build children’s future." After running his first marathon in London during 2015 with a charity place Mark O’Rourke loved the experience so much he went on to catch the “marathon bug”. 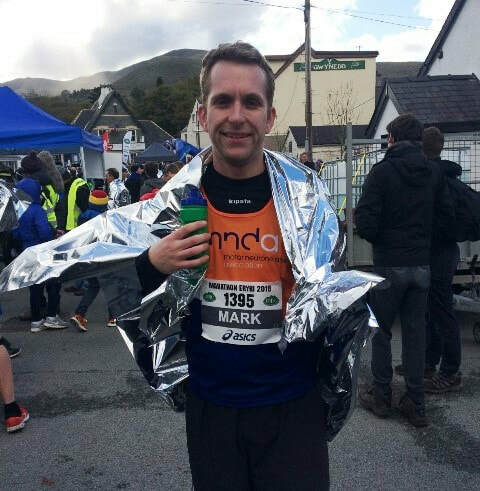 He has gone on to run another three marathons since including the once pictured here at Snowdonia in October 2018. ​This time Mark was lucky enough to get a place through the ballot and will be running for “fun” (and hoping for a quick time too!). Ian Malsbury gained one of the club places. Ian says: "Ever since I cheered my wife on at the London Marathon I’ve wanted to run it. But being rejected every year I never thought I’d get the chance. I was so excited when I heard I had been given one of the club places, I get to cross a race off the bucket list!" ​Having been lucky enough to win a social media competition run by Clydesdale Bank to win one of 15 places at this year's marathon, Barinderjit Cheema will be running his 6th London marathon. As long as the weather doesn't run amok before then, it will also be his 37th full marathon. April will see him also run the Manchester marathon earlier in the month. With a huge JOGLE challenge later in the year, Barry was originally focusing his fundraising efforts there and running London for fun. However, the loss of a work colleague at an early age inspired him to try to raise money for the British Heart Foundation through his marathon run. Victoria O'Connor obtained a charity place. She says: "It’s my first marathon. I ran for around a year around 2016 starting with couch to 5k, built up to Birmingham half but hated it so stopped running completely for 18 months. And then I went for a little run in March 2018, enjoyed it, joined ARC in April and the rest is history. I decided 2018 I was going to say yes to things more, that and the fact I’m really easily led so I see people signing up for things or doing certain distances and think ‘I could do that’ lol it’s why I’m here today. I missed out on the ballot for the third time, decided I was going to do it anyway. After lots of research I decided to run for Round Table Children’s Wish, they grant wishes to children with life threatening or terminal illnesses. I like what they do for these children and their families, giving them good memories they wouldn’t have without this charity. After 4 failed ballot attempts for the London Marathon Jackie Shan was amazed to be drawn out for a club place in Nov 2018. Jackie says: "Surely I’d be worried/scared but my initial reaction was pride, so proud that I would get to run London representing ARC! ​My training consisted in attempting to complete the couch to 5k alone, which was hard work, then I tried running on a treadmill . With a maximum distance of 3 miles on a treadmill and my daughter with no training we managed to complete Birmingham in 2hrs 46 and raised over £2k with me vowing that would be the first and last. However I decided I’d try a 10k .....Shenstone here I come. an ARC vest, I was mesmerised by her running style and how effortlessly she seemed to run. She saw I was struggling, spoke to me and offered me words of encouragement and then held my hand dragging me over the finish line! Without that support,that kindness, I’d have never joined ARC and without doubt would have given up running a long time ago. "Now not only do I get to represent ARC,I get to run THE most amazing marathon for ME ....to prove I can achieve it & on my daughters birthday, how good is that !!! "Rachel Hawkins, a big thank you and I’ll be holding your virtual hand so you can drag me over the finish line in London!" Toby and Angela Oury both get to run London this year. determination to keep pushing myself, thanks everyone. I’m running the London marathon purely for enjoyment and am looking forward to taking part in this event. I will be going out to enjoy it, see our children and the arc cheer squad along the way and cross that finish line!!" On Toby running the marathon: "running a marathon on the same day as Toby will be amazing, normally one of us is watching the other from the side so I can’t wait to experience this together. I won’t relax until he has finished but knowing him I will probably only be half way when he has finished!!" Toby says: "I was lucky enough to gain a place through the ballot on the 5th time of trying! 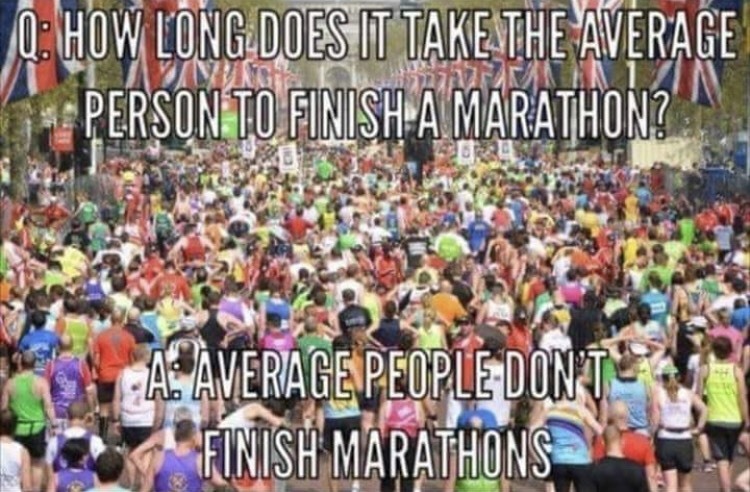 I originally joined ARC as I was training for my first marathon (Amsterdam) and wanted some company, nearly 5 years later, I have completed 3 marathons, achieved all sorts of milestones, and met some great people who I now call friends. This marathon will definitely be my last, not through choice but under doctors' orders. After surgery on both hips in the last 12 months it’s time to start looking after my body, but first I’m going to give everything I’ve got and leave it all on the famous streets of London. This will be my toughest challenge to date both physically and mentally, but I’m also going to try and enjoy the occasion. On Angela running the marathon: Finishing a marathon has always been emotional for me, but seeing Angela finish will make me the proudest person in London , we have very different running journeys but with the same goal - to finish! It’s going to be amazing to share this with my wife. Lisa Wakeman ran her first marathon in Birmingham in October 2017 and achieved a Good For Age (GFA) time. Lisa says: "I am running the VLM 2019 after securing a GFA place. Really looking forward to the challenge of running my second marathon along with the training in the lead up to it. Most importantly I am looking forward to experencing the atmosphere of the day and hope to enjoy every minute of it. Will be proud to wear my ARC vest in London!" Michael Mason gained a charity place and is raising money for Whizz Kidz. Michael says: "Whizz Kidz help transform the lives of disabled children by providing the vital equipment support and life skills they need to reach their full potential. I am running for this amazing charity as I want to make a difference to children’s life." You can support Michael through his fundraising page. 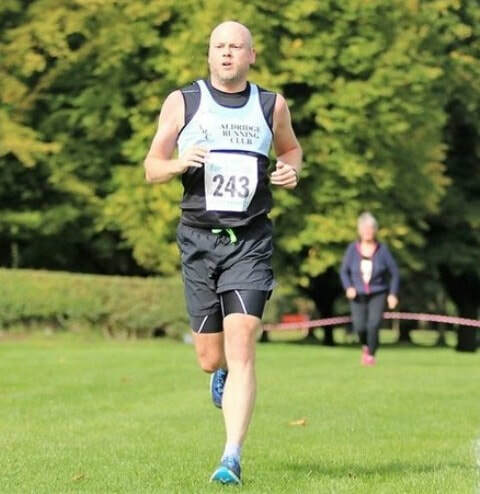 Nick Ford was lucky enough to win a place in this year's London Marathon through the Clydesdale Bank competition and has chosen to support the Midlands Air Ambulance. Nick says: "This will be my second marathon (the first in Birmingham almost broke me!) and I thought that I should try to raise some money for this wonderful charity whilst doing something that I find physically and mentally challenging! I do a lot of swimming, cycling and running, sometimes in remote locations - we always hope that nothing will go wrong, but, if it does, we desperately need organisations like Midlands Air Ambulance. My number is 27704 - give me a cheer if you see me!